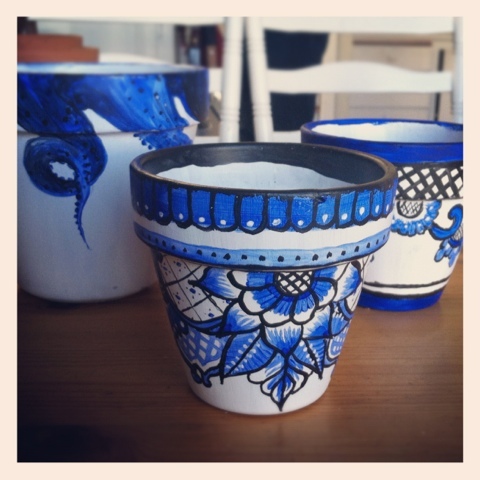 My roommate and I spent a while painting terra cotta pots on a whim... I think they turned out awesome! I did the octopus (duh) and the center one, the one on the right is hers. After a spray with some fixative, they're all set for planting! Can't wait!